A departure from the Theme Dutch featuring a giant windmill and live butterflies in the past few years, Spring time at the Bellagio’s Conservatory and Botanical Gardens in 2015 celebrates Japanese culture with more than 82,000 flowers including tulips, daffodils and snapdragons among bonsai trees. Modeled after the Golden Temple in Kyoto, a 26-foot or 8-meter tall Japanese temple in a gold veneer with rice paper Shoji screens is the center piece of the display. Shown on the outgoing postcard US-3373301 to Japan is an 18-foot or 5.5-meter tall cherry blossom tree featuring 300 acrylic leaves and blossoms, with many oil-paper umbrellas hanging from the sky. 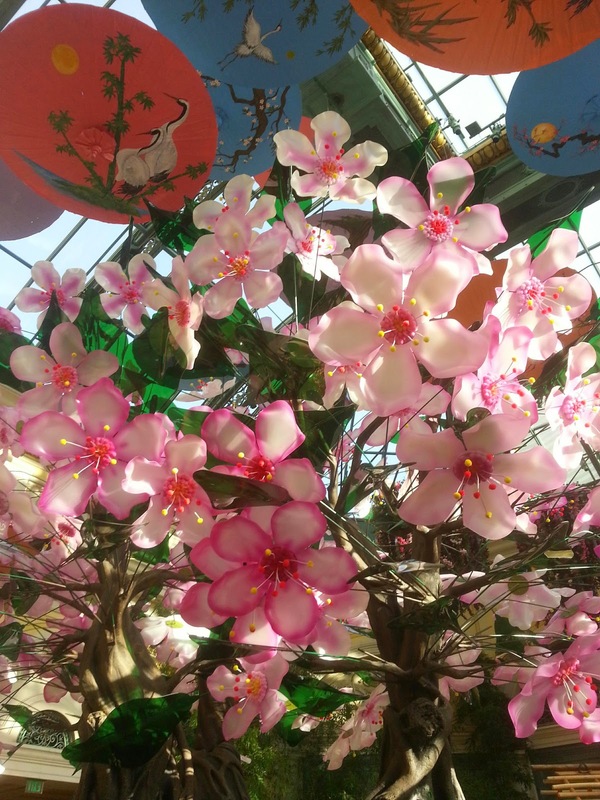 The Spring Celebration, a collaboration with master gardener Kanji Nomura from Nagoya, Japan, runs from March 20 to May 11, 2015. Today in history: the German zeppelin Hindenburg caught fire and was destroyed instantly while attempting to dock at Lakehurst, New Jersey on May 6, 1937; a jury of architects and sculptors unanimously selects Maya Ying Lin's design for the Vietnam Veterans Memorial from 1,421 other entries on May 6, 1981.